was founded by the homeless for their street whanau. It has grown to encompass people from all around the central city community. 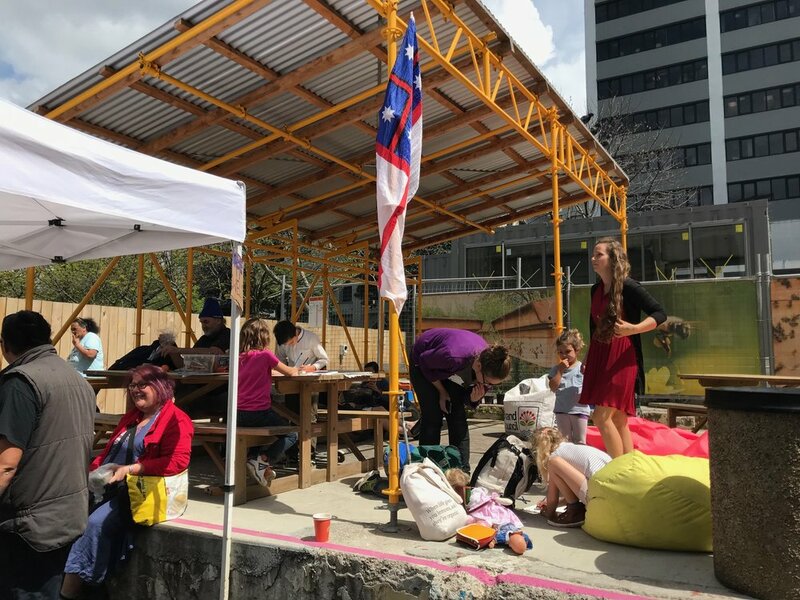 Advocates from Auckland Council, Auckland City Mission, LifeWise, and members of the community created AMTK from having a passion and desire to make a pro-active meaningful contribution to their community, building networks and avenues of communication to stimulate action to social change. They have worked with For the Love of Bees since the beginning of the year, inviting their community to join in our bee school and helping to establish the garden beds at Griffith’s Gardens. They also blessed our bees when they arrived in each of the city parks. 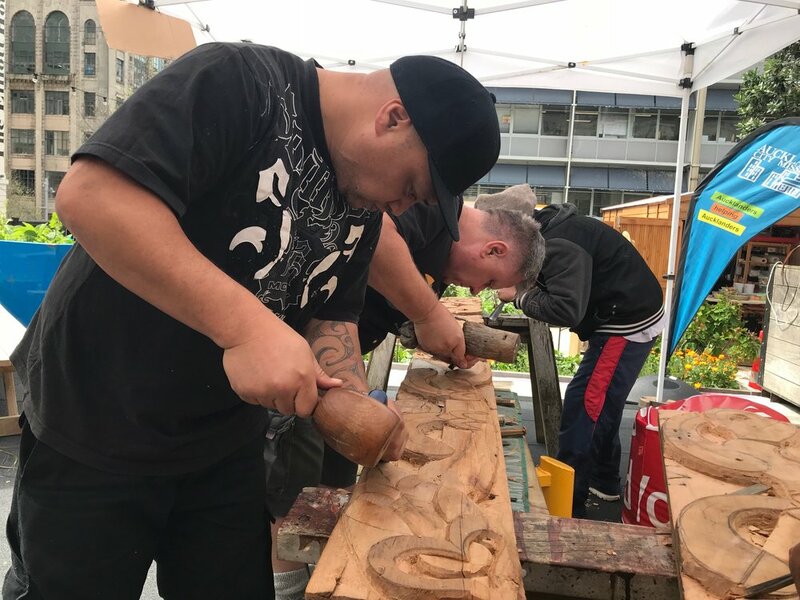 Awhina Mai were also our first artist in residence during Artweek 2017, bringing their artwork 'MAURI TOI - the LIFE of ART’ to Griffith’s, where the public were invited to watch two large carvings take shape and flax weaving. The sculptures showcased what's possible for homeless communities, when given the right tools. See more here. 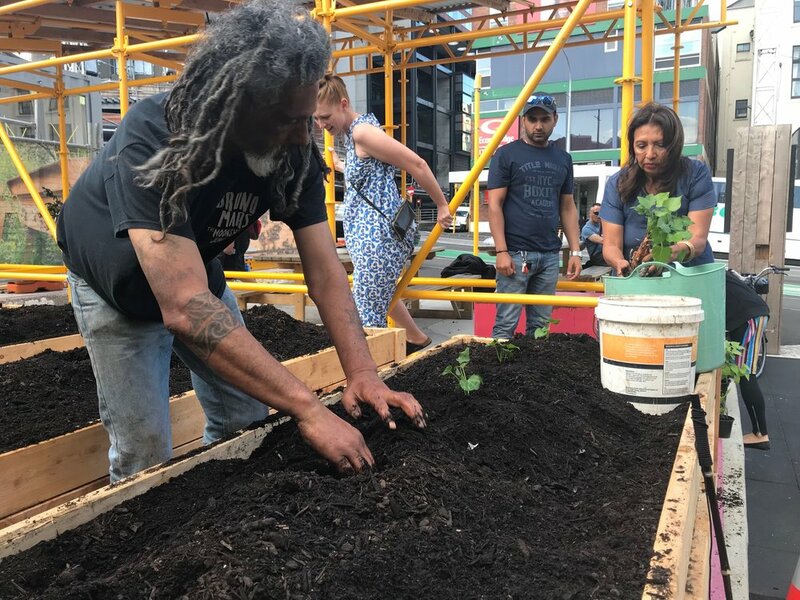 The Awhina Mai crew are avid learners and have their own garden beds at Griffith’s Gardens, where they are practising growing food to feed themselves using bee-safe gardening practices. They are very keen to combine traditional Maori culture and growing techniques with permacultural methods. We have many projects lined up with them for 2018 where we will support and nurture each other’s learning and capacity building around caring for the Whenua. Here is their Facebook group.